United States (Conversation) – Today’s youth are increasingly unhappy with the way their elders are running the world. We first wanted to better understand how young people feel about the current economic system. While it may be true that young people of any generation tend to have less support for incumbent economic and political systems and tend to change their views as they age, past polls on the topic suggest this is a new phenomenon felt especially by today’s youth. A 2010 Gallop poll showed that only 38 percent of young people had a negative view of capitalism – and that was right after the worst financial and economic crisis since the Great Depression, which hit young people especially hard. What can we make of this? Do they prefer socialism, in which the government more actively regulates and intervenes in the economy and restricts individual choice? It’s unclear. The Harvard poll showed just 33 percent said they favor socialism. A separate poll, however, conducted in 2015 by conservative-leaning Reason-Rupe, found that young adults aged 18 to 24 have a slightly more favorable view of socialism than capitalism. Their views contrast markedly with their older peers, who consistently tell pollsters they prefer capitalism by wide margins – more so as their age climbs. Still, the share of the overall population that questions capitalism’s core precepts is around the highest in at least 80 years of polling on the topic. To be sure, the questions pollsters ask Americans vary significantly from poll to poll, and sample sizes aren’t always large enough to draw firm conclusions. All the same, the data suggest that today’s young people are part of a vanguard of Americans losing faith in capitalism and ready to embrace something new. So if young people are increasingly rejecting capitalism but they’re ambivalent about socialism, what do they want? 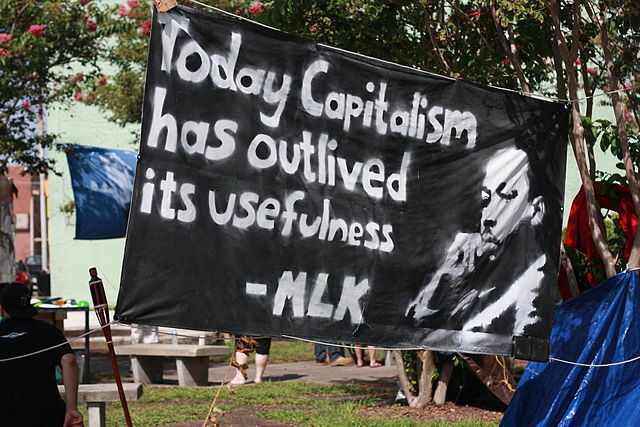 To answer this, we need to explore what about capitalism they find so unsatisfying. A follow-up focus group to the Harvard study concluded that many of these young people feel that “capitalism was unfair and left people out despite their hard work.” A 2012 survey by the Pew Research Center found that 71 percent of those 18-34 years of age perceive strong conflicts between the rich and the poor in American society. These views on the inequality inherent in the American economic system command majorities of Republicans, Democrats, Independents, conservatives, moderates and liberals. To us, this suggests the critical reason young people have lost faith in capitalism is that it has lost its ability to be fair. But they don’t seem to think an alternate system such as socialism can fix the problem. Rather, we can begin to piece together what might work, in their view, by examining a 2015 survey by Public Policy Polling, which asked participants their views on employee-owned companies and government intervention to encourage them. The poll found that 75 percent of 18- to 29-year-olds support this, far more than every other age category, while 83 percent said employee-owned companies are as American as apple pie, hot dogs and baseball. So these polls in a way suggest young people don’t want less capitalism, they want more of it. They just want to make sure it’s shared more broadly, such as by making it easier for more of us to become capitalists and share in the wealth we collectively create. As two professors meeting this generation daily in our classrooms, we have been surprised by the strong support for these concepts in our college courses on economics and corporate governance. Other surveys suggest that the desire for a more inclusive form of capitalism is becoming more widely held. A 2016 Gallup State of the American Workplace survey found that 40 percent of all American workers would leave their company to work for one that had profit-sharing. What Americans witnessed on March 24 was an energetic, dynamic and powerful new political force in America. Right now it’s focused on guns. But this force may well turn its attention to the structure of corporations and an economic system that has led to ever-widening levels of inequality. Just as lawmakers may want to rethink their views on gun rights, they may also want to begin re-examining their understanding of what capitalism is supposed to look like. This report prepared by Joseph Blasi, J. Robert Beyster Distinguished Professor and Director of the Institute for the Study of Employee Ownership and Profit Sharing, School of Management and Labor Relations, Rutgers University and Douglas L. Kruse, Distinguished Professor and Associate Dean for Academic Affairs, Rutgers University for The Conversation.